You Said Yes But You Don’t Like The Ring: What Next? You’ve dreamt of this moment since you were a small girl: your engagement. The love of your life getting down on one knee, and asking you to spend the rest of your lives together. And it’s a beautiful moment, one that you’ll treasure forever. But what happens if you don’t like the ring? It’s a tough one. You don’t want to offend your beloved, as he or she has put a lot of effort into choosing it for you. But if you really don’t like it, how can you be expected to wear it for the next seven or eight decades? 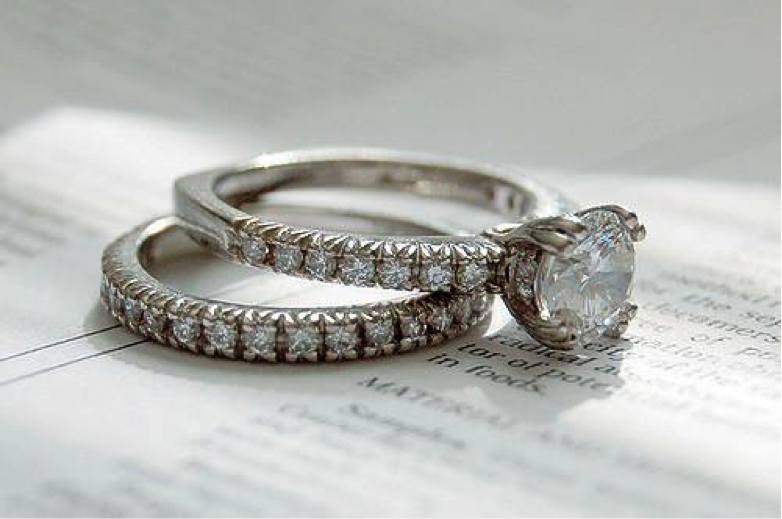 Well, here’s your guide to coping with a ring you don’t want to wear. You probably feel awful about having to say that you don’t like the ring, but it’s better to be honest than to pretend you love it. You’re going to have to show it off to lots of people, and you don’t want to lie or look fake. However, this doesn’t apply if your partner has proposed with an antique family heirloom – in this case, you might just have to put up with it, and love it for the fact it’s been in your soon-to-be family’s history for centuries. Approach the subject when you’re both relaxed and happy. You know your partner well enough to know how well he’ll take it, so choose your time and and place carefully. It’s a good idea to write down what you want to say first, so you don’t end up stumbling over your words later on. Not liking how big the diamond is, or wanting a different precious stone isn’t good enough. It’s time to explain the real reason behind not wanting to wear it. Perhaps the stone sticks out, and you’re worried about catching it and breaking it? Or what about the ethical reasons. You might have wanted a stone that’s guaranteed not to be a blood diamond. Some brands, like Brilliant Earth, promise that they sell ethical rocks, but it’s worth reading this Brilliant Earth review before buying. Giving well justified reasons should be enough to help change your partner’s mind. They won’t mind practical reasons – but if you’re being a snob about how expensive it is, it might be time to reconsider your priorities. If you don’t want to tell your partner that you don’t like it, but you don’t want to wear it because of practical reasons, why not try hanging it on a chain and wearing it around your neck? That way you can still show off your ring, but you don’t need to worry about the rocks snapping off or it slipping off. Some people have different shaped fingers, and it might be that the ring design is just always going to be slightly too big or too small. If this is the case, then wearing it on a chain during your day to day business is a safe way to ensure that you don’t lose it. Then, when you’re at home or going out, you can put it back on.